Don't forget to bookmark and check back for new articles and information. Dr. Albert Grazia is a Clinical Nutritionist and practices natural healing. As doctor, from Latin means teacher, Dr. Grazia considers it his primary mission to teach people healing using natural methods. He strongly believes in the body's tremendous ability to heal itself, and the need for people to be active participants in promoting their own wellness. 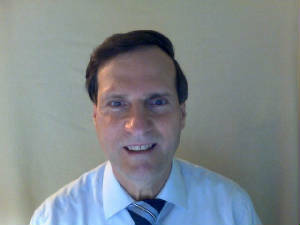 Albert Grazia has a PhD degree in Health Sciences from Rutgers University, School of Biomedical and Health Sciences. He also has a Master of Science degree in Clinical Nutrition from the University of Bridgeport. He completed an internship with naturopath Dr. Chester Yozwick. In addition, he has studied with the renowned natural healer Dr. Richard Schulze. As a student of Dr. Schulze's methods, he learned not only herbology, but also the same powerful natural healing techniques that Dr. Schulze incorporated in his twenty years of clinical practice. Dr. Grazia also utilizes this program in his practice. A typical consultation with Dr. Grazia begins with a review of the client's current problems, nutritional state, and health goals. Detoxification is the cornerstone of any natural healing program. When this is accomplished, the body's natural energies are freed to help promote health. There are also cleansing herb preparations that can be used to continue the detoxifying process. Education in proper nutrition and healthy eating, including the use of a natural whole food supplement, is the next step. In most cases, especially where there is severe illness, juicing with fresh fruits and vegetables is another component of the healing process. Finally, Dr. Grazia explains the principles of stimulating and encouraging the immune system to do what is was designed to do, using herbs, hydrotherapy, massage and other natural methods. Dr. Albert Grazia is dedicated to helping people achieve their wellness goals, and is particularly devoted to the encouragement and education of those who have been diagnosed as seriously or terminally ill, or who have been told that there is nothing that modern medicine can do for them. He firmly believes that natural healing has a great deal to offer these individuals, whether for relief, healing or simply empowerment in a situation that has made them feel hopeless. Dr. Albert Grazia also volunteers his time as a lecturer to a variety of groups, from PTAs to cancer support groups. He speaks on subjects such as nutrition as it relates to disease like cancer, heart disease, and diabetes, as well as on herbology and natural healing in general.